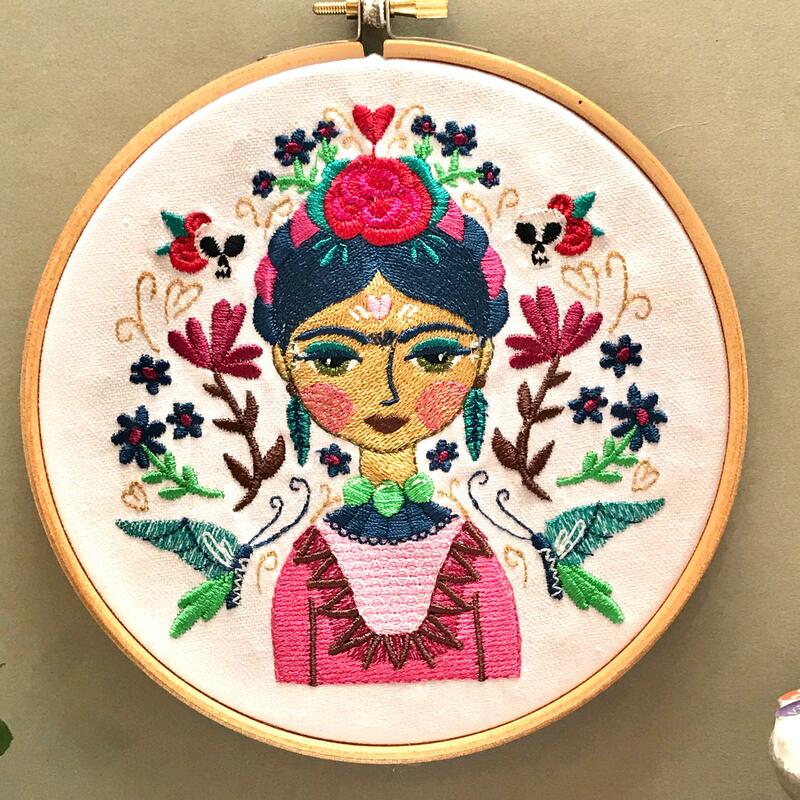 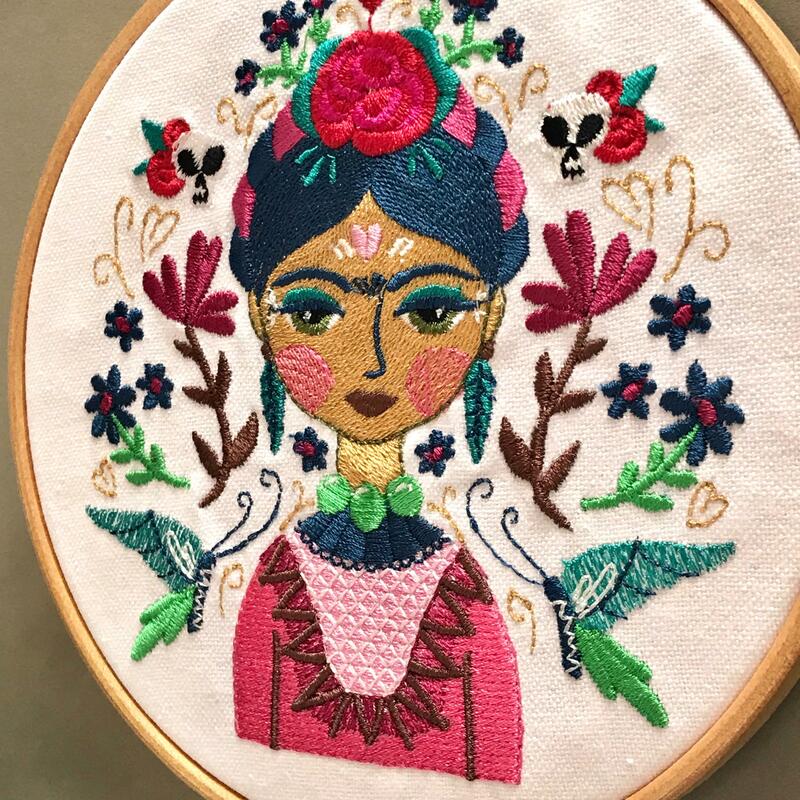 The embroidery is inspired by the Mexican artist, Frida Kahlo. 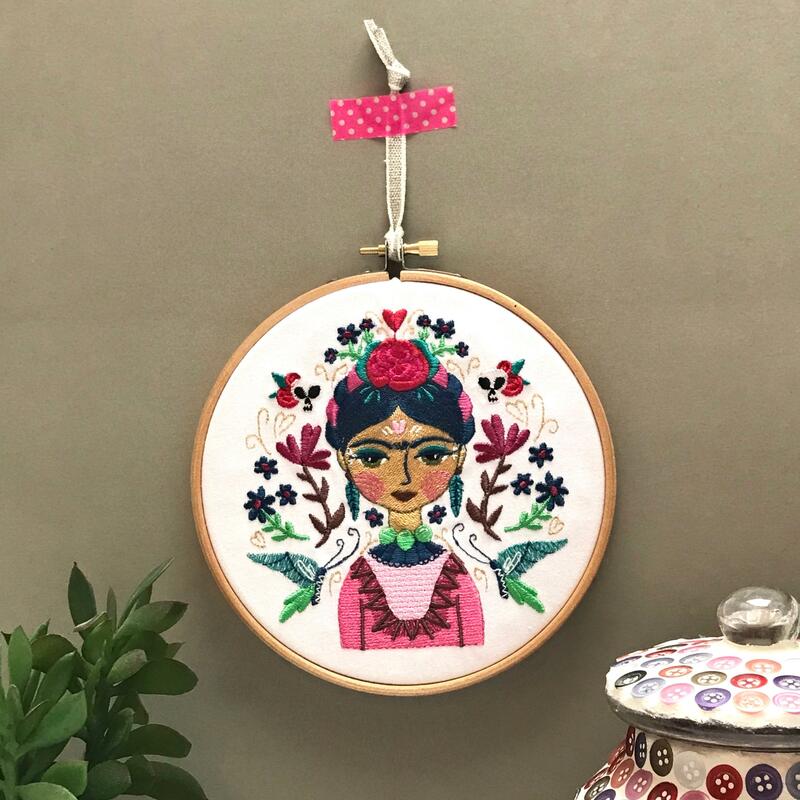 Using a colourful, tropical colour pallet, this embroidery hoop makes a statement! 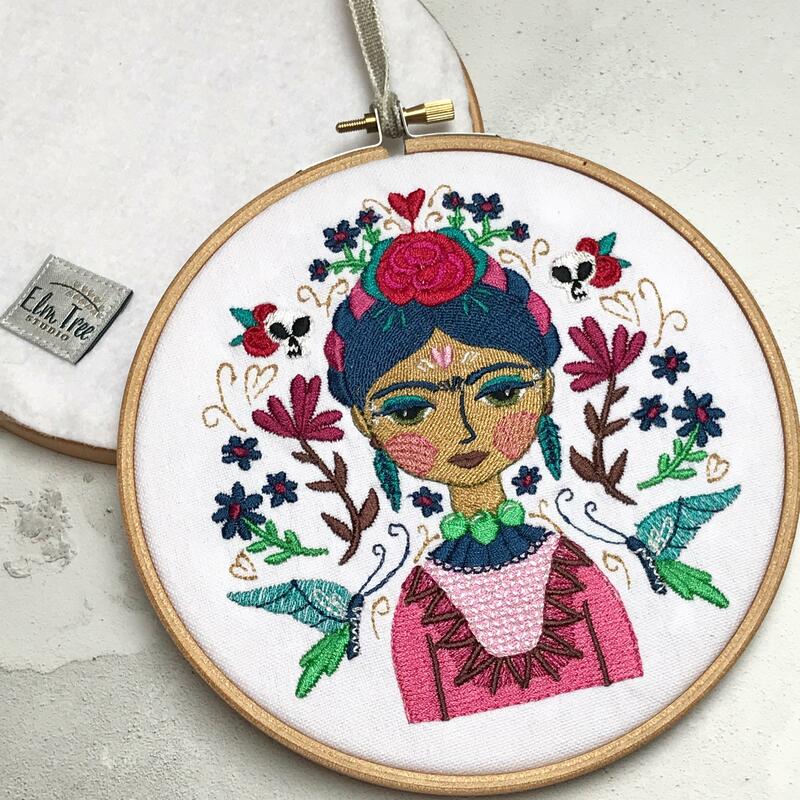 Embroidered onto a crisp white cotton that really makes the colours pop.